This post is sponsored by Potente and Osso & Kristalla. All opinions are mine alone. 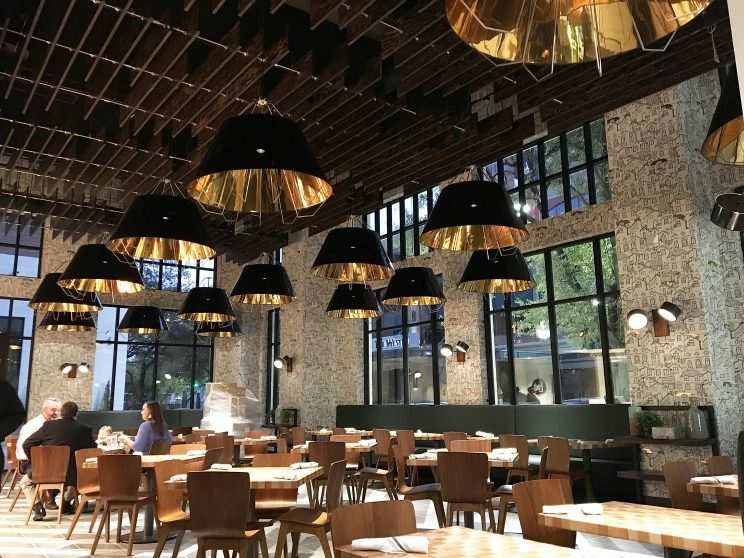 Osso & Kristalla and Potente, the new kids in town, bring Northern Italian cuisine to the heart of Houston. 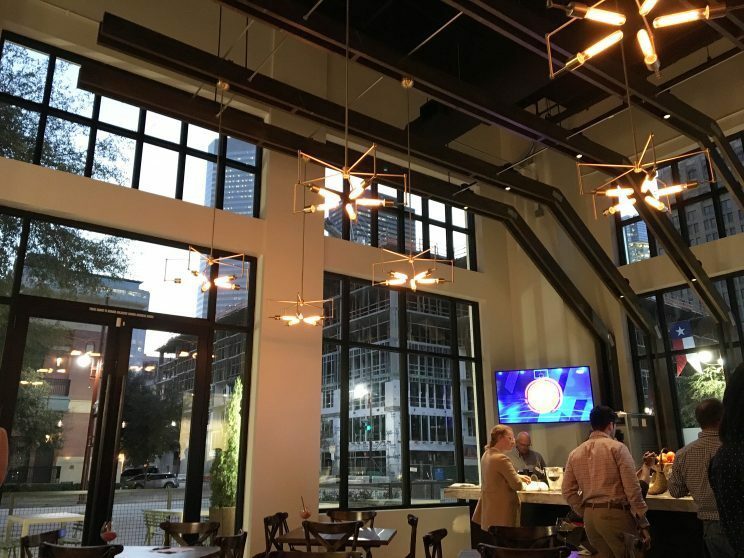 Astros owner, Jim Crane, recently opened his new Italian eateries across from Minute Maid Park. Leading the culinary side is executive chef Michael Parker and chef du cuisine Michael Rideout. 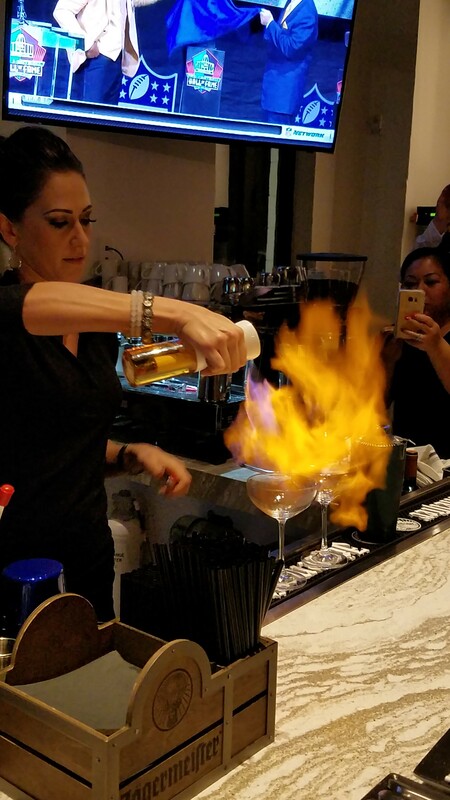 So when the Houston Food Blogger Collective was invited to experience a first look tasting of these upscale eateries, I knew we were in for a treat! When you enter Potente, the foyer is stunning. Marble tiled floors and rich, warm gold tones with modern accents welcome you to experience an evening of fine dining. We toured Potente and glanced at the menu. They actually light up when you open them. What a great feature to have so you can see what to order! MICHELLE CARR LIGHTS UP WHEN IT COMES TO FINE DINING! Then we crossed over to the Osso & Kristalla side for our first look samplings. We heard that Osso & Kristalla was still updating their menu and preparing for their grand opening. 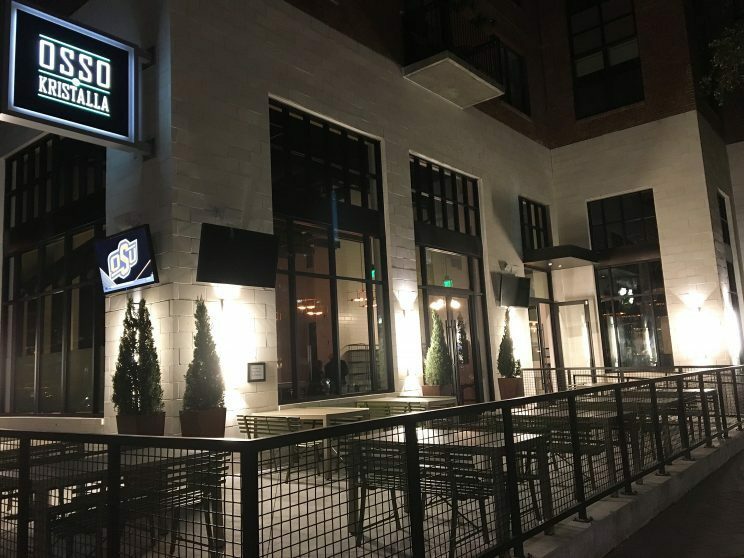 We were thrilled to be first in line to see the gorgeous space and taste some delicious Northern Italian cuisine in Osso & Kristalla’s new casual dining area. Our tastings started off with frozen negronis. They reminded me of a frozen strawberry margarita. Since we were visiting on National Margarita Day, the frozen negroni seemed appropriate for the event! There were close to forty food bloggers at our tasting which made it a bit challenging to capture the essence, the ambiance, and the food. Yet, I managed to get a few good pics to get your taste buds salivating! A couple of things really stood out to me. The service at Potente and Osso & Kristalla is outstanding. I spoke to several of the staff and everyone was polite and attentive. These upscale gems are off to a good start with their incredible service. Second, the pizza was impressive. 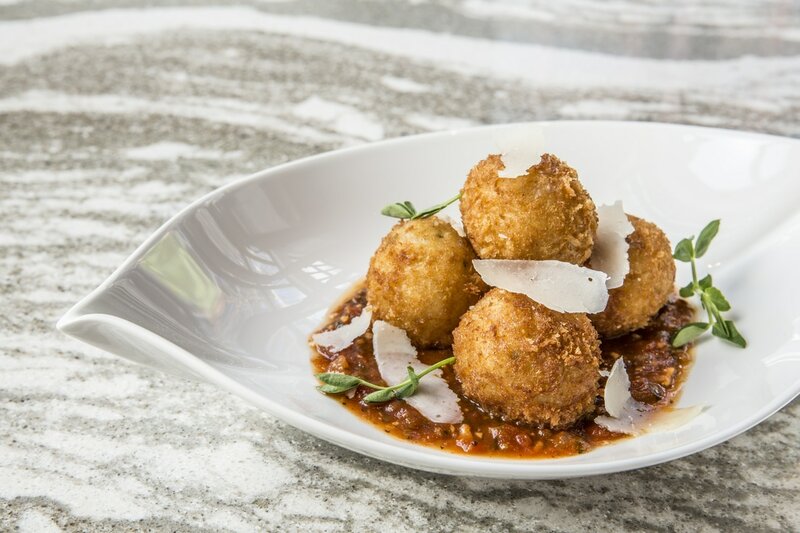 Osso & Kristalla use fresh, local ingredients with Houston Dairymaids being one of their cheese sources. But what really wowed me was Osso & Kristalla’s pizza crust. Osso & Kristalla’s chefs use a hundred-year-old starter to make the pizza dough. Then the pizza is hand-tossed and fire baked to perfection. You will love the cheese pulls on these pizzas! 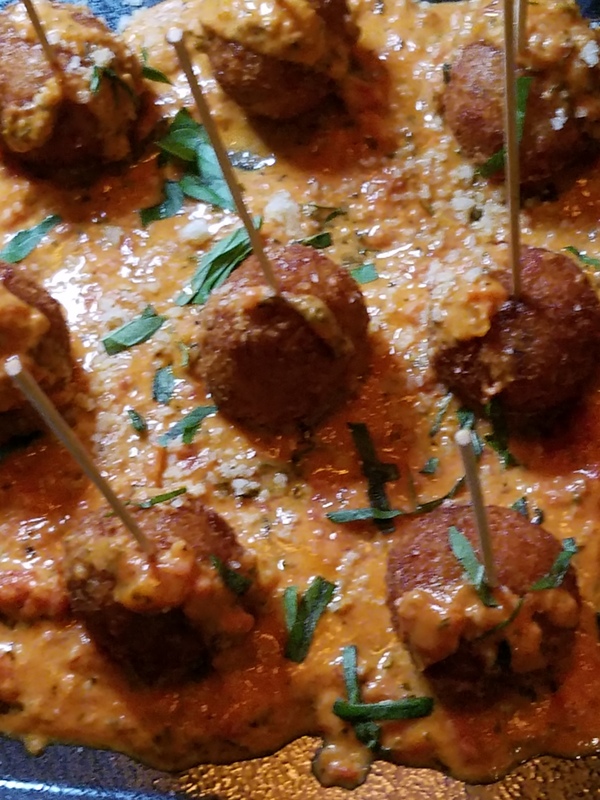 The Margherita pizza and the rigatoni & Fontina stuffed meatball topped with marinara were my favorite bites of the night. 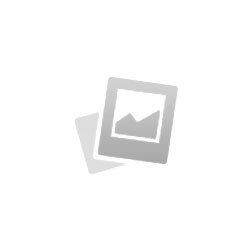 The marinara has a wonderful sweetness to it with oregano and basil flavors. Osso & Kristalla is perfect for casual dining with friends for breakfast, lunch or dinner. Reservations are not required for Osso & Kristalla so you can pop in after work or before a game. Potente, on the other hand, is fine dining and requires reservations. 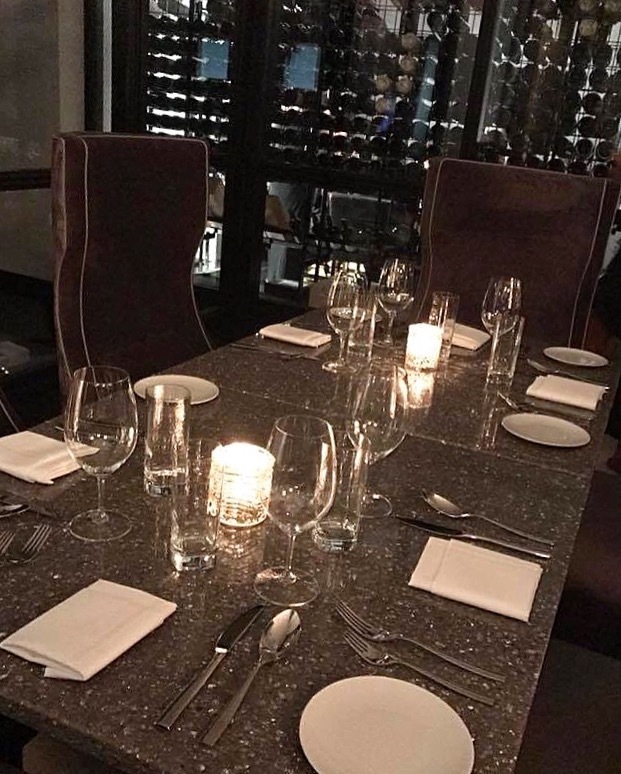 Potente is the place to go for elegant, formal dining for anniversaries, birthdays or whenever you want to treat yourself. Honestly, you don’t need a reason to spoil yourself. Just gather your friends or significant other and check out Osso & Kristalla and Potente for your own first-hand look. 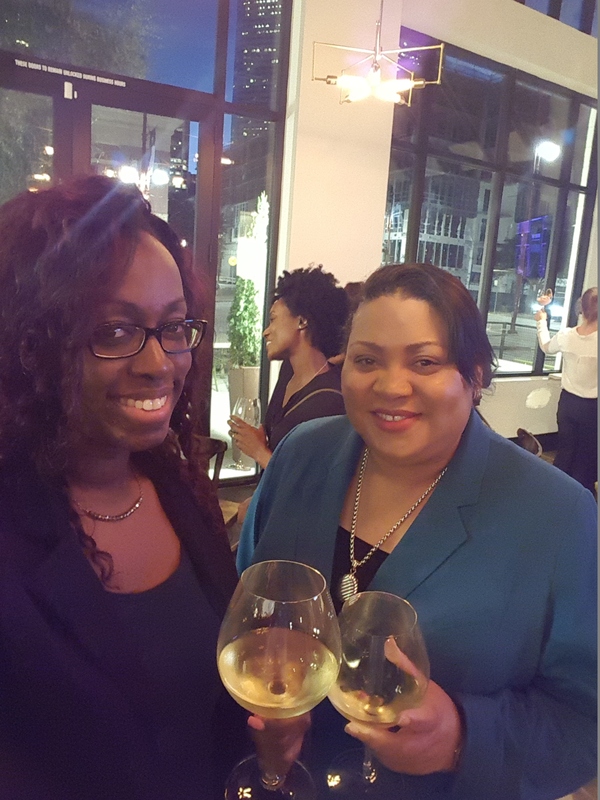 Thank you, Potente and Osso & Kristalla, for inviting the Houston Food Blogger Collective for a first look view of your two new restaurants and delicious tastings! 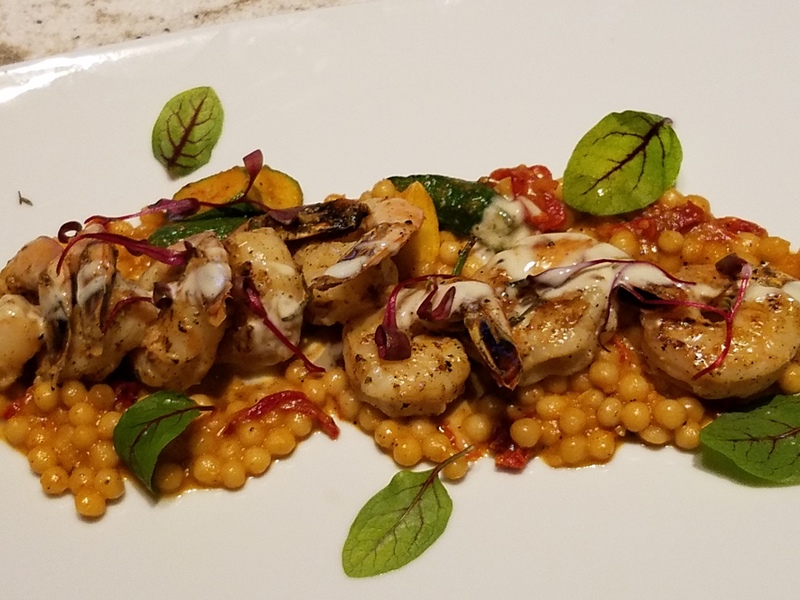 Northern Italian cuisine in the heart of Houston is exactly what Houston needed to unwind after work or to catch a bite before a game. I wish you all the best in success and I hope to see you soon for happy hour. Go taste and see for yourself and let me know what you think! 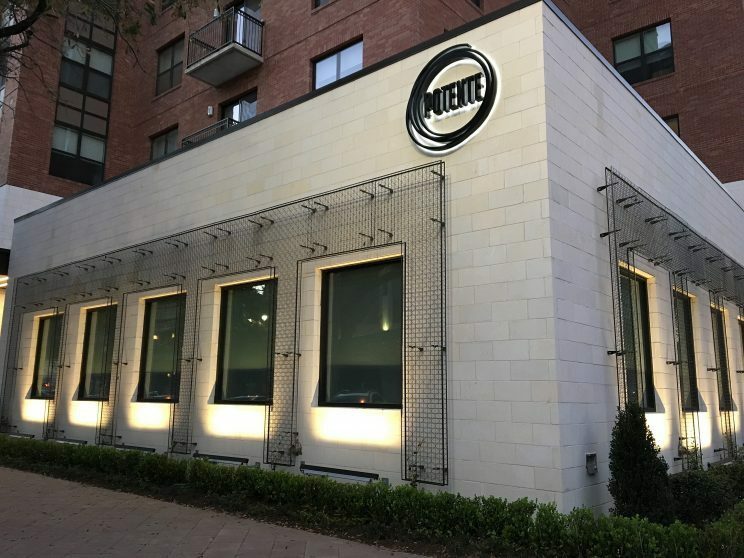 Houston patrons can experience some fine Italian cuisine at new downtown restaurant Potente, located on the ground floor of a luxury apartment building just steps from Minute Maid Park. Potente boasts a menu of high quality seafood, steaks and pasta; an exhausting wine list and décor that would make anyone stand in awe. Their menus even light up … how fancy is that? Astros owner Jim Crane owns Potente as well as his other, more casual Italian restaurant Osso & Kristalla, which is located next door to Potente. The restaurants are named after his three children. 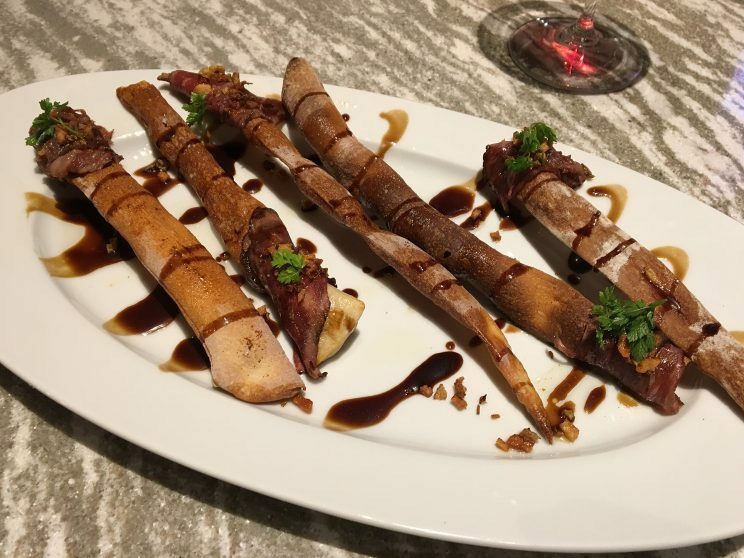 The Houston Food Blogger Collective was invited to tour both restaurants Feb. 22 and sample some delicious food offerings at Osso & Kristalla prior to the restaurant’s official opening. And before we get to the yummy food pics, you must be informed that executive chef Michael Parker (personal chef to Crane), Chef du cuisine Micah Rideout and executive pastry chef David Berg are behind the magic. Now … enjoy! Both restaurants are now open to the public, so be sure to stop in and get full. Potente opens at 5pm every day for dinner and Osso & Kristalla serves breakfast, lunch and dinner. Tell them 2 Girls Who Travel sent you! 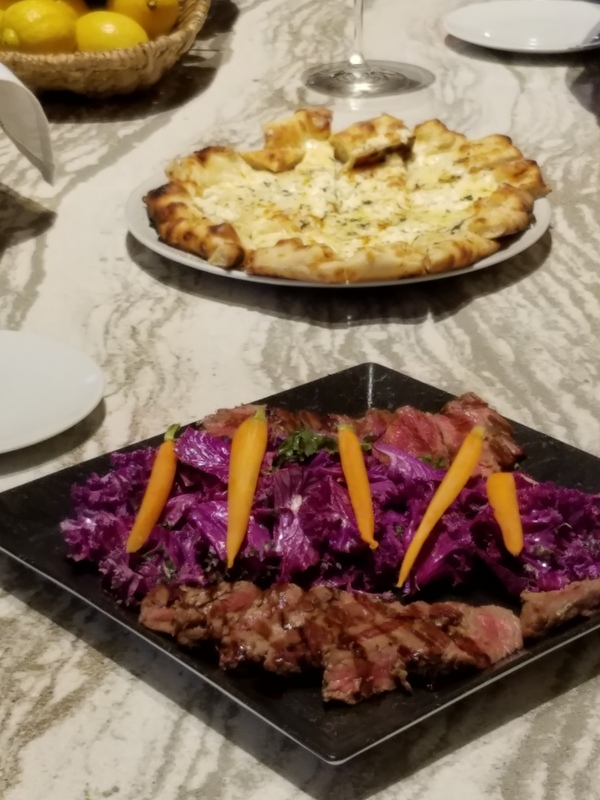 Last week members of the Houston Food Blogger Collective were invited to take a sneak peek at Astros owner Jim Crane’s newest Italian eatery, Ossa & Kristalla. 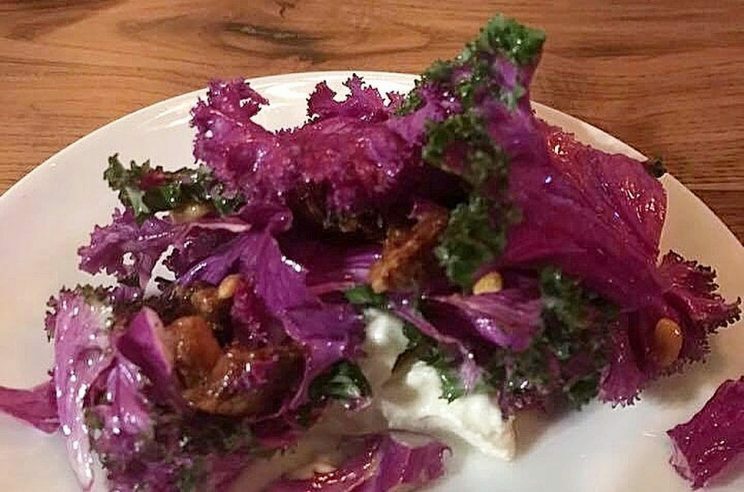 The casual sister restaurant toPotente opened to the public this past weekend. Both restaurants are overseen by executive chef Michael Parker and feature modern Italian fare. Ossa & Kristalla is open for breakfast, lunch, and dinner. 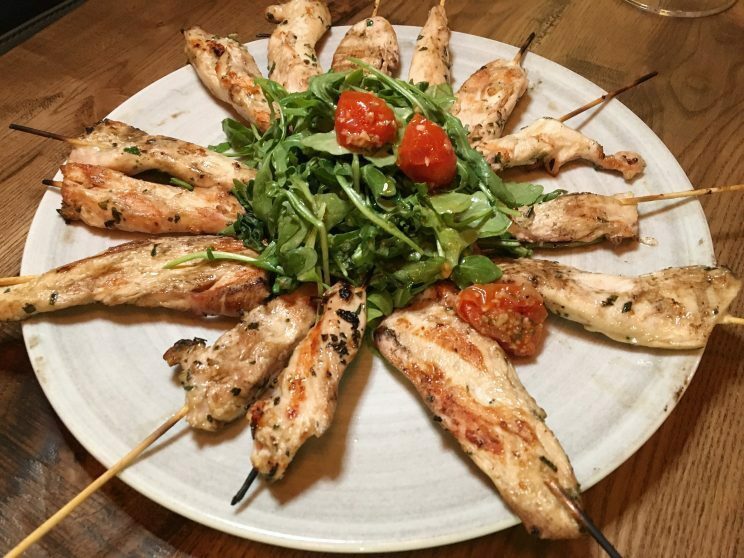 The menu focuses on fresh, local ingredients and large portions that encourage sharing. Bread, pastas and pastries are all made in-house. Lunch includes salads, sandwiches, pasta and wood-fired pizzas. 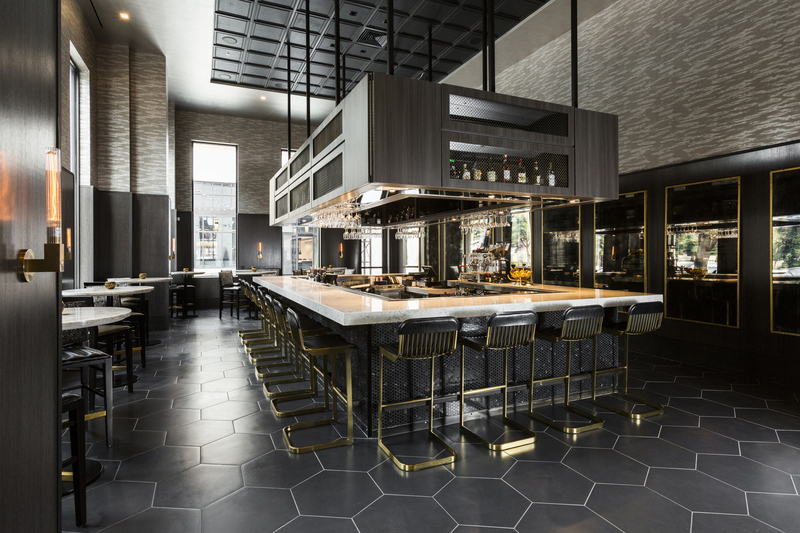 The rustic dining room at Osso & Kristalla features an open kitchen which allows diners to be part of the action. The restaurant has an extensive, yet reasonably priced wine list as well cocktails. The Quattro Formaggi pizza, Rigatoni and Meatball pasta and Arancini were my favorite dishes of the night. Our final treat for the evening was a quick look at the upscale Potente. A laid back bar is connected to the elegant dining space. The bar features several signature cocktails and a variety of Campari and Gin based drinks. Open for dinner only, the menu at Potente includes daily seafood selections, pastas and steaks. Potente and Osso & Kristalla are the newest additions to the downtown dining scene. They come to us from Astros team owner Jim Crane who looks to help guests create memorable moments with family through dining. The restaurants, named after Crane’s children, are located at the ground floor of the new luxury apartments a short walk from Minute Maid park. The Houston Food Blogger Collective was invited to have an inside peak into these two beautiful restaurants. Our dining experience took place at Osso & Kristalla, which is more on the casual trattoria side. The trattoria features an open kitchen, allowing guests to get a peak of the kitchen action. As you walk through both locations, you’ll most likely notice their ceramic tile and patterned walls. From their cubic, to brown, grey and black tiles to the patterned walls in both restaurants. Either way, as you move from casual Osso & Kristilla to sophisticated Potente, you’ll feel the mood and ambiance change. 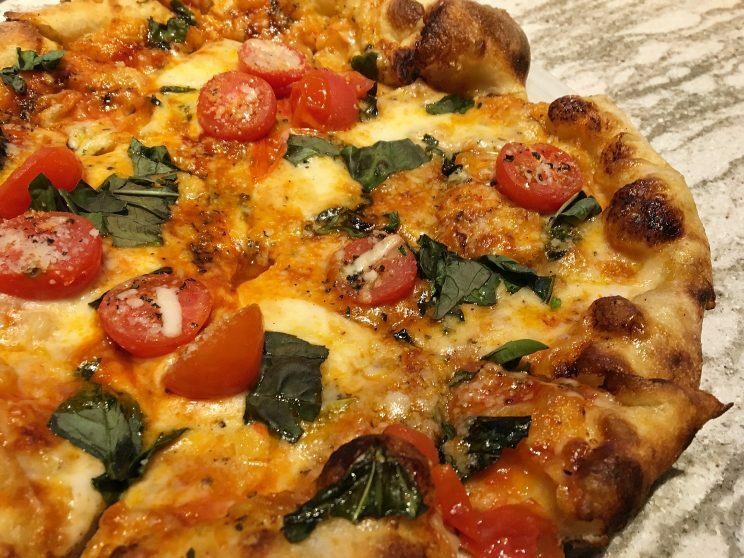 Margherita Pizza: Roma Tomato sauce, Buffalo Mozzarella, fresh tomatoes, oregano and basil. THE BEST MARGHERITA I HAVE EVER HAD! The dough is perfection and it has just the right amount of cheese and sauce. Executive Chef Michael Parker and Chef de cuisine Micah Rideout, treated us to a night we won’t forget. 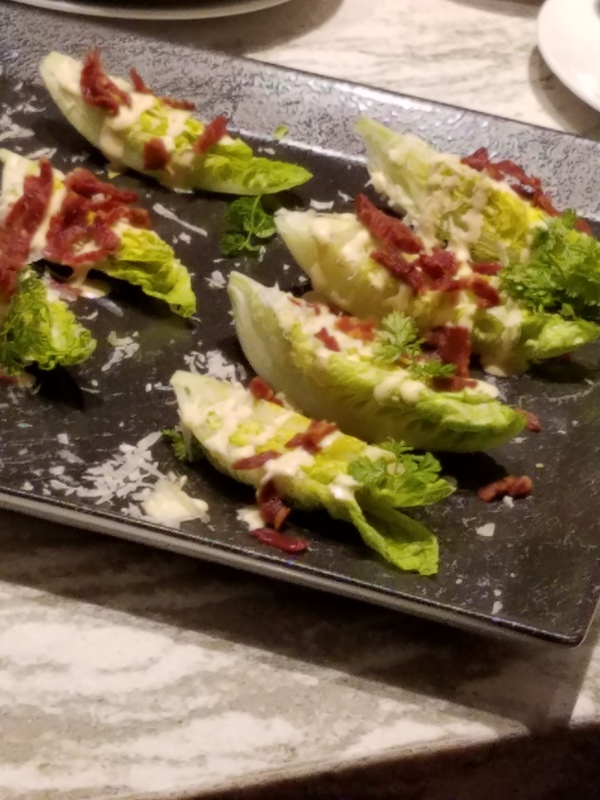 Serving dishes from their Olive and anchovy croissants(on the same addiction level as Chips & Salsa), to their iceberg lettuce topped with bacon, to Chicken skewers, steak with purple kale and house-made pizzas. And let’s not forget the bar staff, who treated us to deliciously smooth frozen negroni, perfect for these hot winter days and their ” Dante’s Inferno” cocktail demonstration. Dante’s Inferno: Great combination of spicy and sweet, not for the faint-hearted. Osso& Kristalla is open for breakfast, lunch and dinner; Potente opens everyday after 5pm. My dining style leans more to the Osso & Kristilla trattoria, so I cannot wait to come back for stuffed croissants, pizza, dessert and a some nice cocktails. 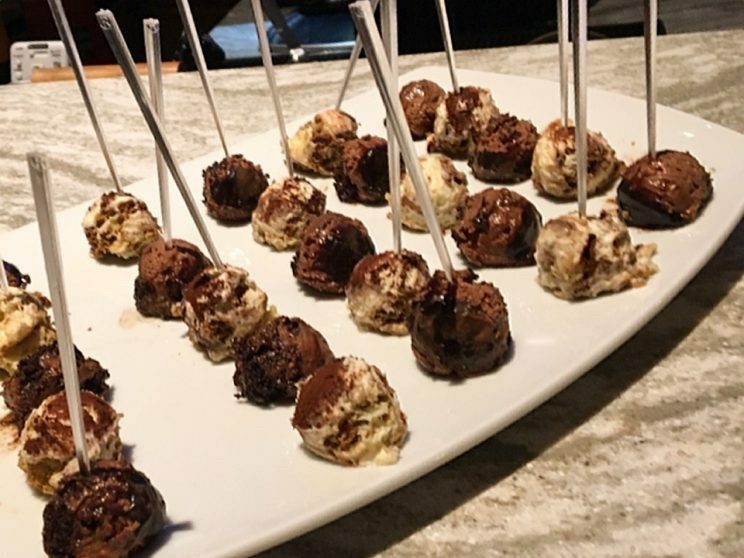 HOUSTON — Guests were invited on Sunday to sample light bites and enjoy cocktails at the soft opening of two fantastic new restaurants, owned by Houston Astros owner Jim Crane. 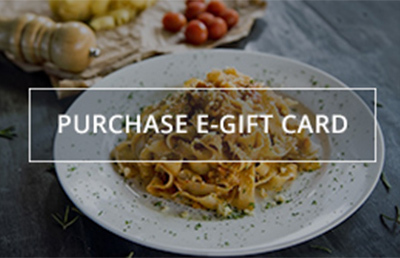 Osso & Kristalla is a casual trattoria located next door to Potente, an upscale dining establishment in downtown Houston. The names of the restaurants are references to the Crane’s three children, translated in Italian. Osso & Kristalla features an open kitchen which brings diners closer to the action to engage them with the food and the environment. The soft, rustic space boasts a neutral, Italian aesthetic with a playful and casual feel that transfers to an outdoor patio – the perfect place for diners to soak in lively downtown Houston. The restaurant will open daily for breakfast, lunch and dinner and serve brunch on Saturday and Sunday. All bread, pasta and pastries will be homemade and served alongside Houston’s own Katz Coffee. 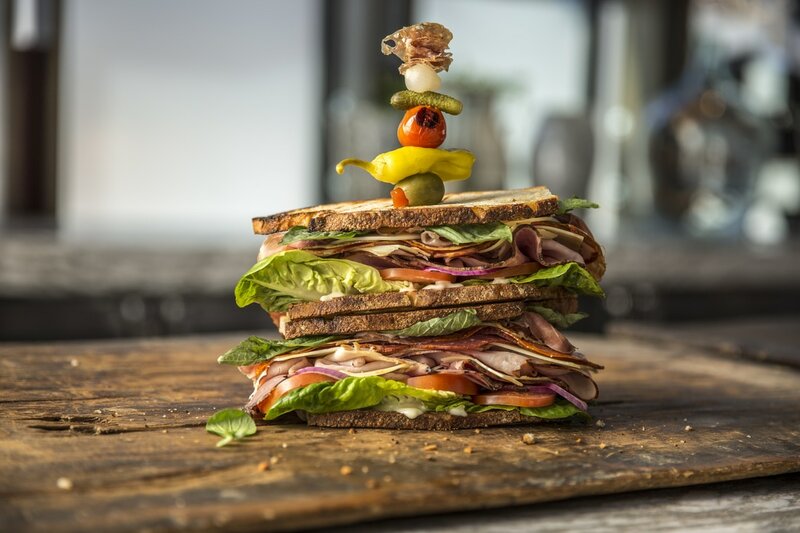 Lunch offers sandwiches, salads and wood-fired pizzas, perfect for the downtown business person. 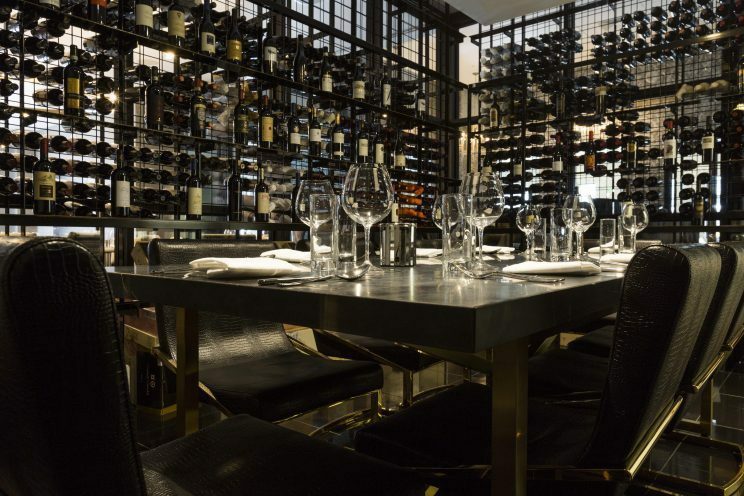 At dinner the space transforms into a modern, yet relaxed lounge atmosphere with casual Italian fare, a full bar and all wine served by the glass. The culinary team will be led by Executive Chef Michael Parker, Chef de Cuisine Micah Rideout and Executive Pastry Chef David Berg, the same team that oversees Potente. Executive Chef Michael Parker has close to three decades of culinary experience and also oversees dining operations at Crane’s exclusive club in Florida, Floridian National Golf Club. Born in England, Parker worked with the famous Roux Brothers at The Waterside Inn a three-star Michelin restaurant outside of London. He received his culinary degree at Bournemouth and Poole College in Dorset, England in 1987. In addition to Parker’s appointment at The Waterside Inn, his career has included time at The Club at Carlton Woods, The Lodge at Sea Island, Century Plaza Hotel and Tower, Caesars Palace and Gallagher’s Steak House in Las Vegas. He has also cooked for former Presidents Reagan, Bush, Clinton and Obama, as well as the Queen of England, Prince Phillip and the Queen Mother. Chef Parker’s culinary vision will bring a new level of luxury to the Houston restaurant scene. Chef de Cuisine Micah Rideout comes to the restaurants with over a decade of high-end experience and a passion for taking diners on a unique culinary journey. He most recently served as Chef de Cuisine at Reef Restaurant and KUU Modern Japanese Restaurant. 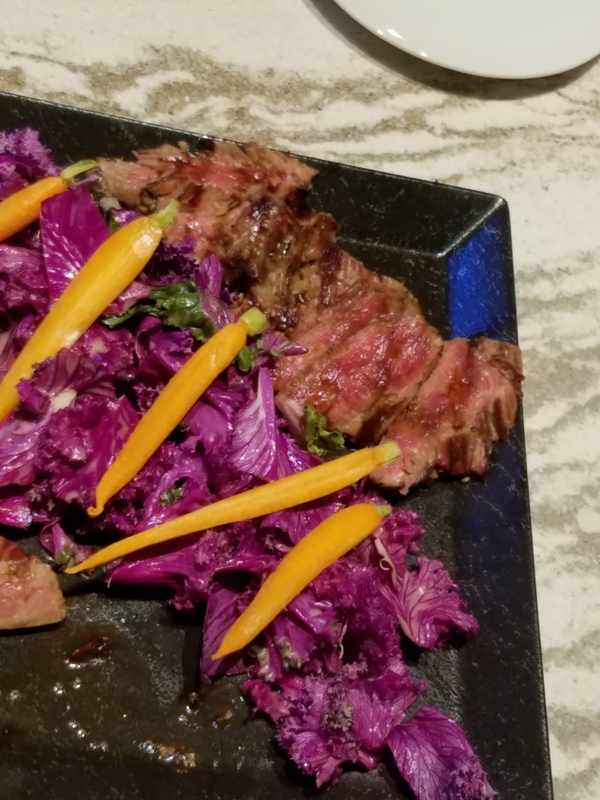 Rideout previously served as Executive Chef at Tarakaan Asian Restaurant, Executive Sous Chef at the JW Marriott Houston Downtown and also as Sous Chef at The Inn at Dos Brisas –a Relais & Chateaux property. 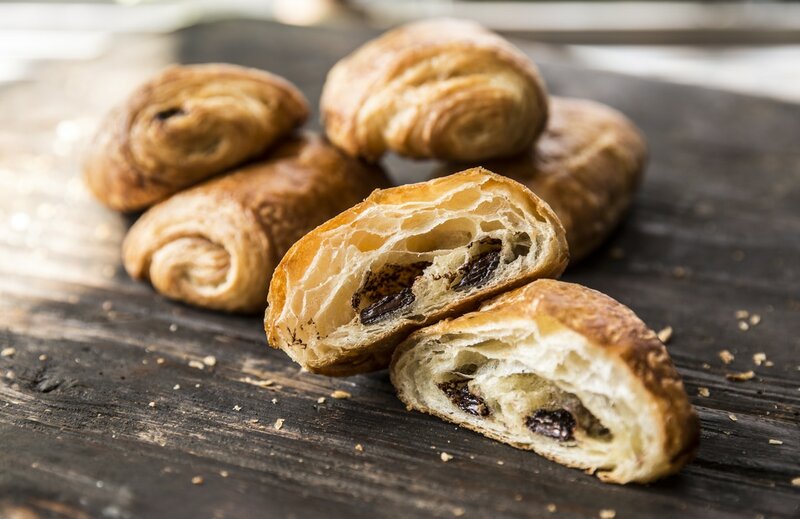 Executive Pastry Chef David Berg has over 35 years of culinary experience in Los Angeles and Houston as a chef, pastry chef and artisan bread expert. Berg most recently served as Executive Pastry Chef at Tony’s Restaurant and Phoenicia Specialty Foods. Previously Berg served as Chef de Cuisine at Kiran’s Restaurant and was Director of Operations and Partner at Mi Luna Tapas Restaurant and Bar. He also owned and operated two successful bakeries in California, Café Opera & Bakery and Naturally David’s Bakery & Catering. Bill Floyd oversees the operations for both restaurants. Floyd, a Jean Georges Vongerichten alumnus, brings decades of high-end hospitality experience to the new restaurants. He is also owner of Jackson Street BBQ and co-owner of Reef, Third Bar, Little Bigs and El Real Tex Mex. Fore more information, visit the website at www.ossoandkristalla.com. Potente, the upscale sister restaurant, is located next door to Osso & Kristalla. Its interior is evocative of a luxurious Italian villa with a modern twist, featuring a spacious bar, magnificent main dining space, private room and a special chef’s table in the wine room. Potente is open nightly at 5 p.m. and accepts reservations For more information, visit the website at www.potentehouston.com. Conceived and brought to life by Astros owner Jim Crane, the restaurants sit side by side and are located across from Minute Maid Park, home of baseball’s Houston Astros. Potente is an upscale, luxurious, Italian-villa inspired dinner destination. Sister restaurant Osso & Kristalla is a bright, cheerful, casual trattoria that is open all day. Where Potente wows with its swanky, over the top sophistication, Osso & Kristalla invites you in to relax in its easy going, rustic, yet modern interior. 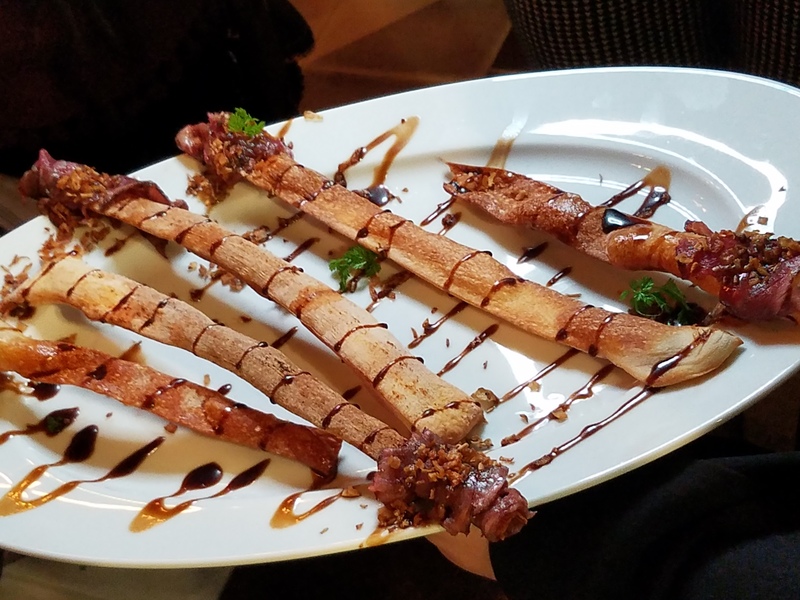 I was invited with the Houston Food Blogger Collective to a ‘First Look’ event to get a glimpse of all of the glamour and Italian deliciousness. While the restaurants are a study in contrasts – Potente which oozes romance and elegance and Osso & Kristalla which beckons to chill with a group of friends – the similarities that bind them are high quality, local ingredients and a commitment to making the customer feel at home with great service. The menu at Potente sets the stage for a truly fine-dining experience and features a compact selection of seafood and homemade pastas, as well as beef, duck, and lamb. 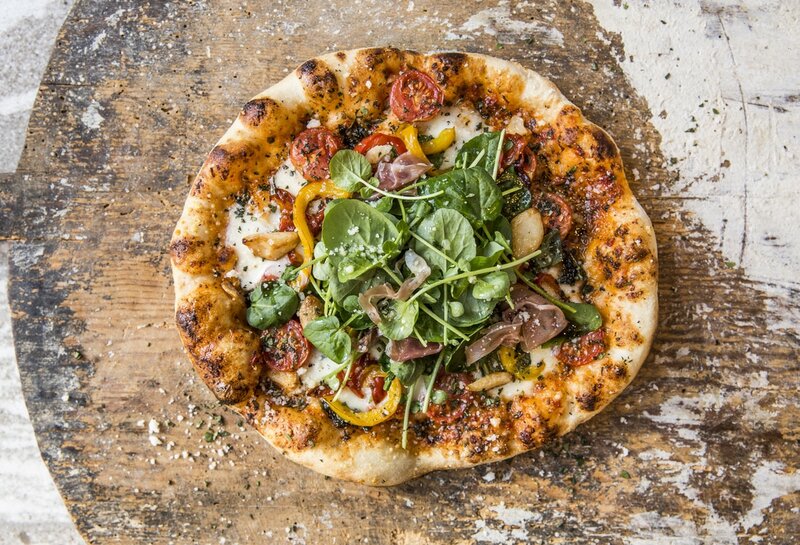 The more casual menu at Osso & Kristalla offers up delicious pizzas, pastas, salads, and Italian Secondi with a modern twist. And because the restaurants are so new, diners can expect to menus to evolve given customers reactions and input. 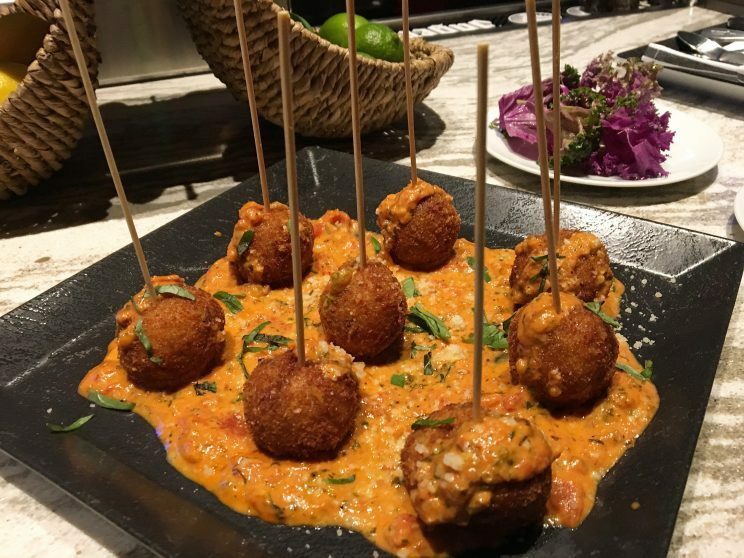 Arancinis with marinara were drool worthy and a perfect start to the evening. As was this beef carpaccio on a bread stick. 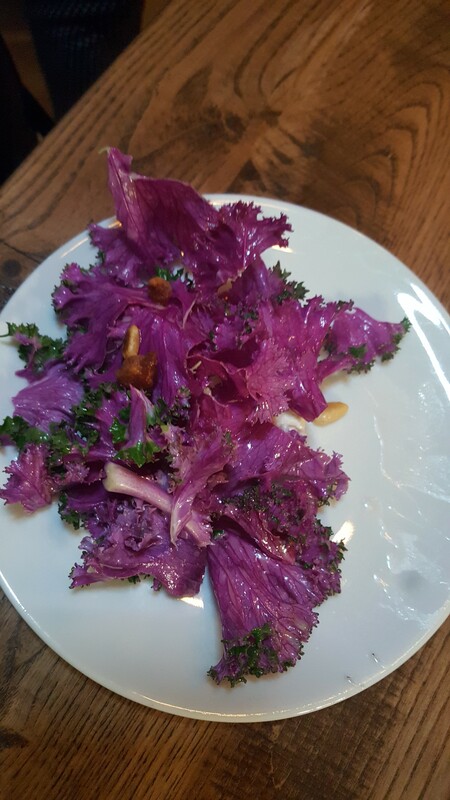 The Salads – they were truly a thing a beauty and so artfully presented. 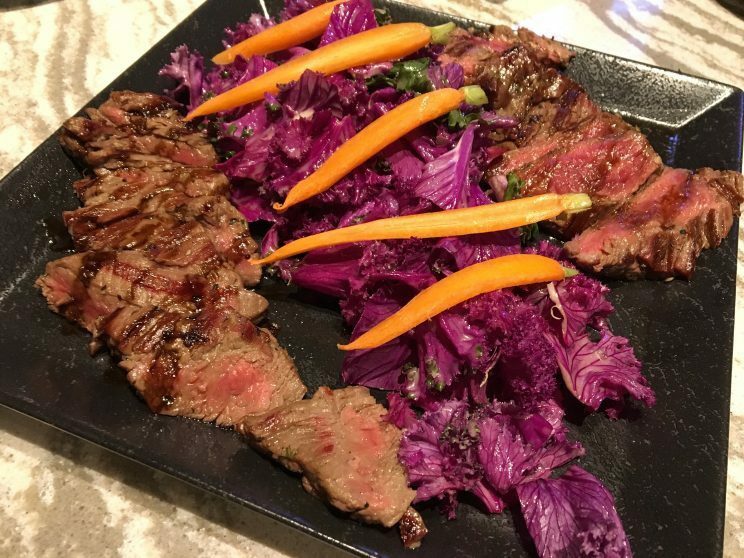 While the kale salad with apple, pancetta, pine nuts, ricotta and preserved lemon dressing as well as the Caesar salads were fantastic in their own right, this steak salad definitely stole the show. 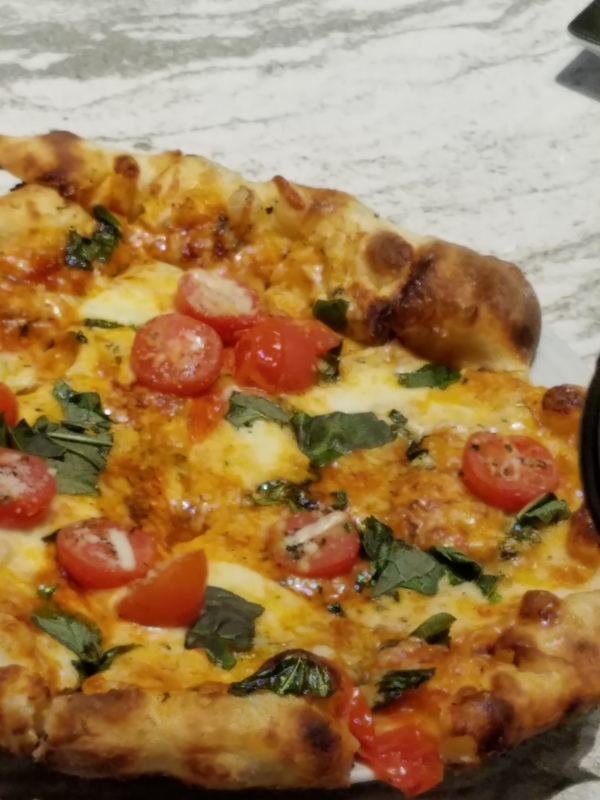 The pizzas with fresh ingredients and toppings were top notch, but the perfectly executed crusts – crispy on the outside with a light and fluffy softness on the inside – were the perfect base for the authentic Italian style pizzas. This pizza is the real deal. 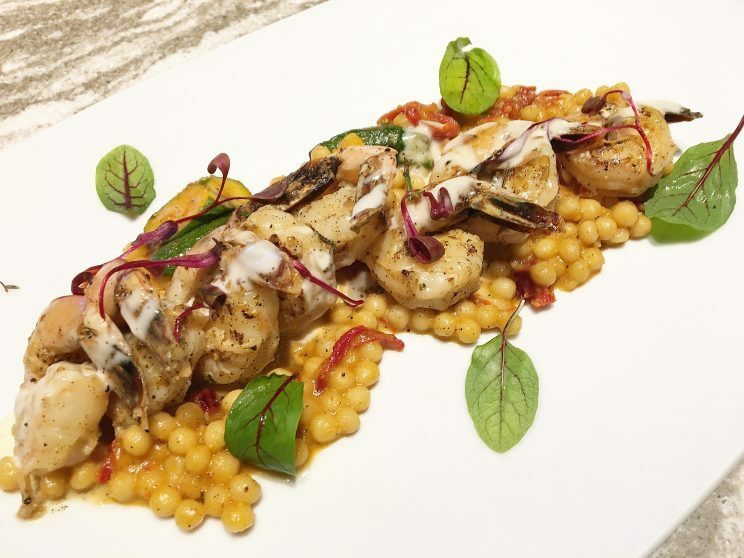 Italian BBQ Shrimp with Giant Couscous, Sundried Tomato, and Almond. 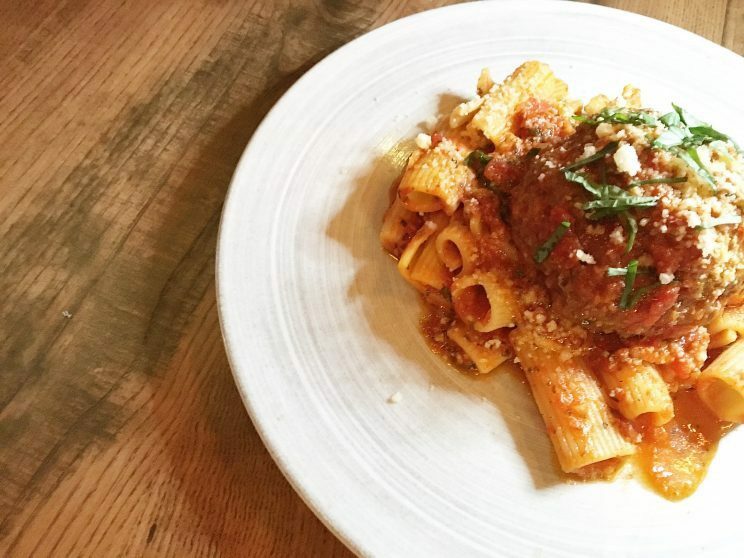 This amazing Rigatoni & Meatball stuffed with Fontina. Seriously delicious meatball. And this juicy Roasted Chicken. The evening ended on a fittingly sweet note. 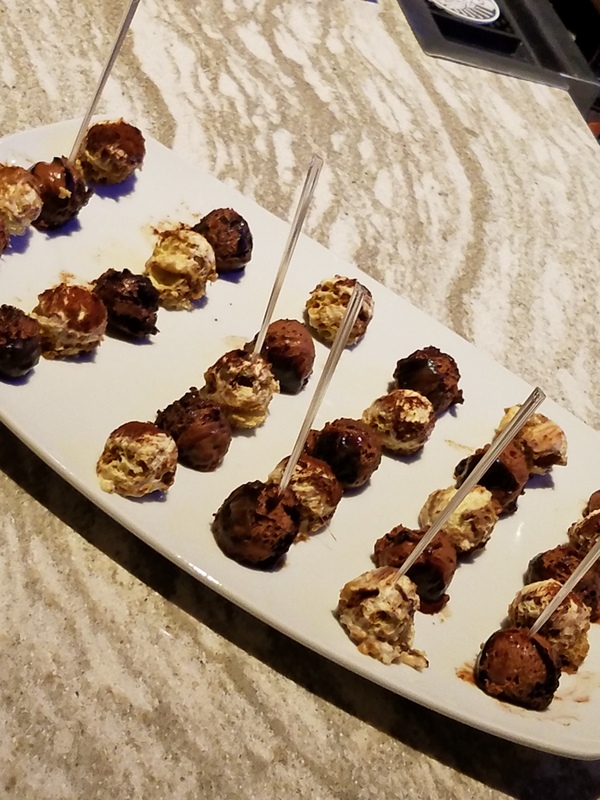 While pastry chef David Berg indicated that the dessert menu was still being tweaked, these Tiramisu bites were absolutely divine! If they make it on to the menu, get the chocolate. Really. Because this is a wine blog. And while foodies will for sure swoon over the menu, wine enthusiasts are sure to love the wine selection for what it has and does not have. 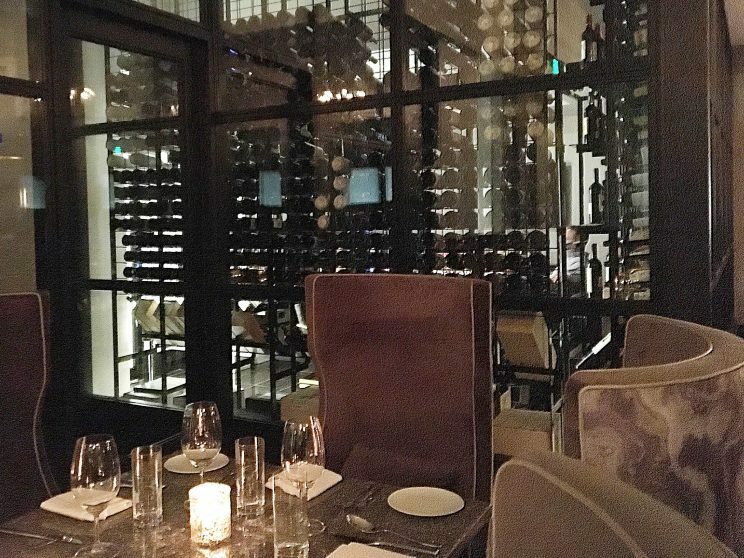 Both restaurants feature a large selection of Italian wines (about 65% is made up of Italian wines), as well as a selection of French, Spanish, and California wines amongst others. But what is missing are the oft seen, and much maligned, high restaurant markups. Osso & Kristalla and Potente will sell wine at blessedly low markups (think Clark Cooper’s Ibiza, Brasserie 19, and SaltAir; Underbelly; or Reef). The goal? To have the customer not be afraid to truly explore the wine list. And – to make them want to come back and try more. Even though the restaurants will share the same focus on Italian wines and favorable pricing, the menus themselves will be quite different. 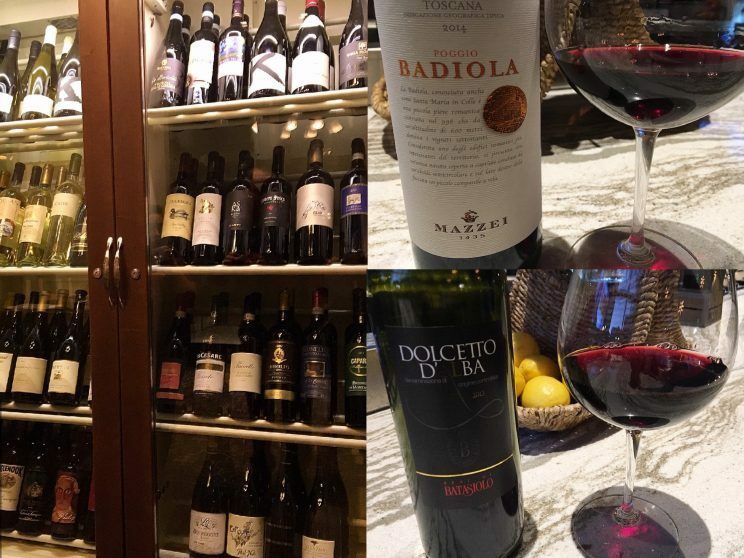 Osso & Kristalla will feature around 50 wines, all by the glass, with the goal that most wines sell for under $50. Want a $50 Barolo? You’ll be able to get one at Osso. Additionally, Osso will feature wines that are more recognizable to the average consumer and that will sell themselves. Potente on the other hand will have wines that generally start at the $50 price range and go up from there. The restaurant will also utilize the Coravin system to showcase some truly special wines. The wine collection at Potente is still being assembled, but the goal is to offer around 300 wines. And if you want to dine surrounded by the nectar of the Gods, reserve the restaurant’s Wine Room, which is the actual cellar and seats eight. 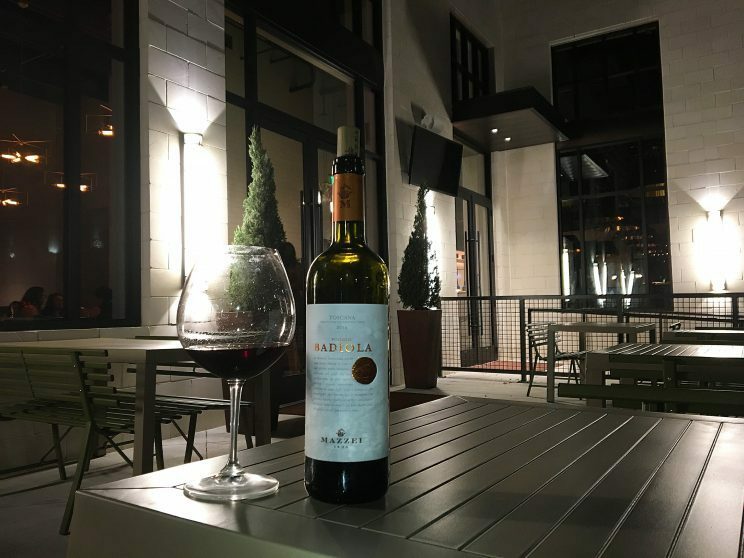 So whether you choose to dine at Osso or Potente, wine lovers can expect great things from this fantastic addition to the Houston wine scene. 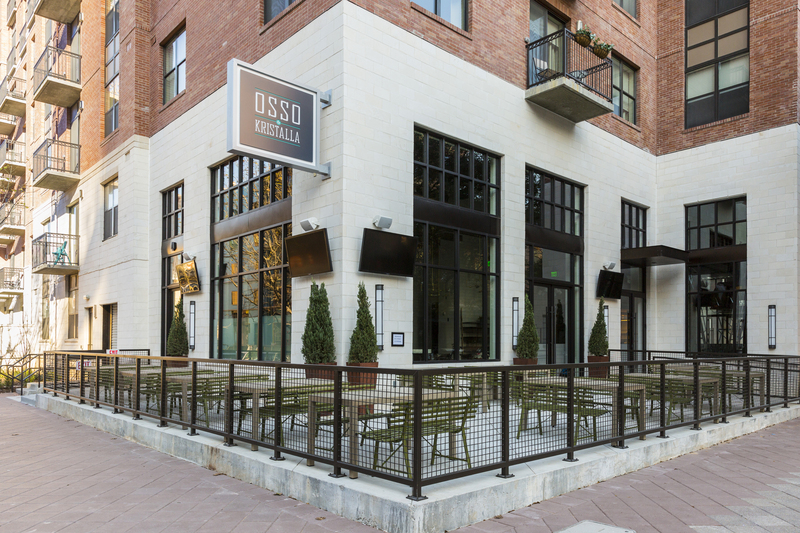 And no worries if you’re dining at Osso on this fabulous patio and want a bottle of some high-end juice on the Potente list as they will bring one right over for you. Jim Crane, the owner of the Houston Astros delights us with the opening of two new restaurants in Downtown, Osso & Kristalla and Potente. Both are located just a block away from Minute Maid Park and you must go try them both. The innovative architecture and decoration of both restaurants enhance the corner of Texas Avenue and Crawford Street with two very interesting Italian proposals – A casual trattoria called Osso & Kristalla and its high-end sibling Potente. 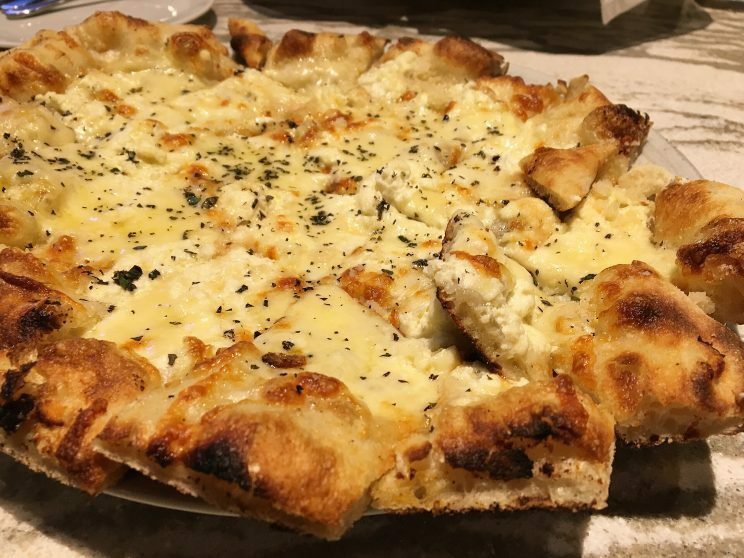 This week I had the chance to attend a first look tasting at the trattoria and let me tell you that the secret behind their delicious dough is the 100-year yeast starter with which Chef David Berg makes all his bread and pizza bases in both restaurants. The concept behind Osso & Kristalla offers an Italian menu with big portions so everyone can share. The shrimp pizza with caramelized onions had a bubbly and crunchy crust that was spectacular. I also tried the BBQ shrimps that came on a bed of couscous, a purple kale salad with apple, pancetta, pine nuts, and ricotta as well as the Steak Salad with rosemary balsamic vinaigrette that was delicious. 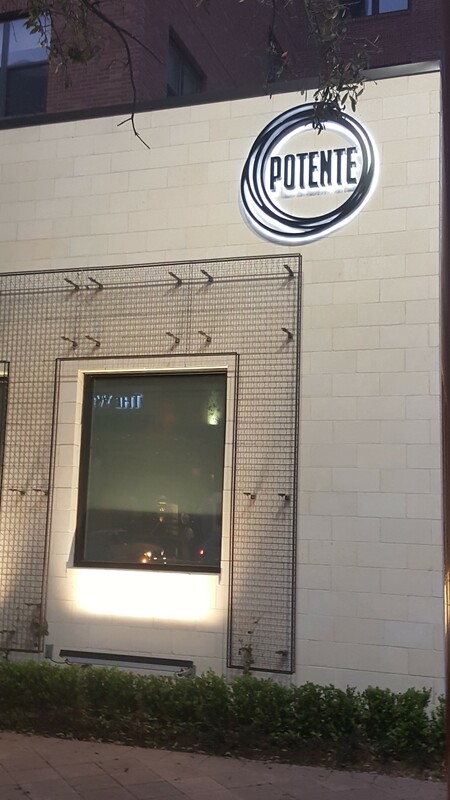 On the other hand, Potente restaurant focuses on a more upscale and exquisite menu. 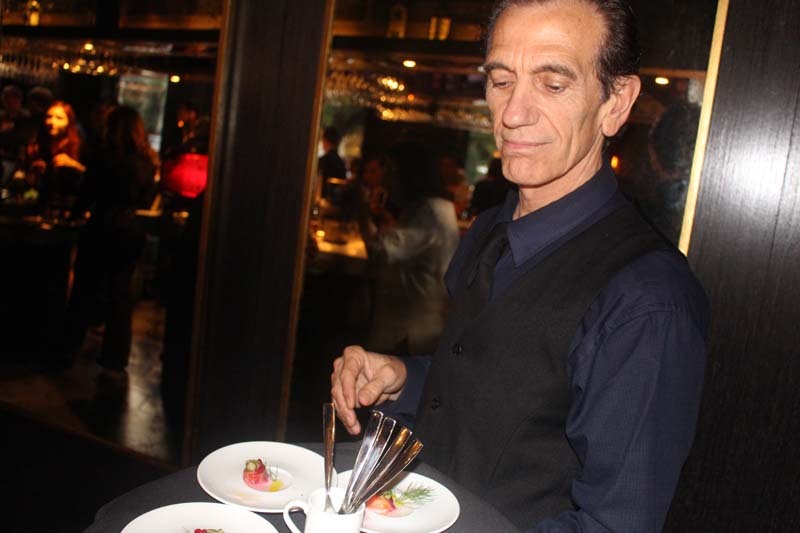 Some of their specialties are the Lobster Risotto with black truffles and the Branzino with crab. It also offers an elegant bar, perfect to enjoy a delicious drink like the frozen Negroni I had, prepared by one of their expert mixologists. So now you know, if you are looking for new dining options in Downtown, Yo Mariana recommends you these two new proposals.